If you are a frequent PC game player, and you own Steam, chances are you have seen the game Warframe pop up on your Steam browser at some point. Or, perhaps you have been following the game for some time, and were eager to give it a spin. Regardless of where you started Waframe, you and over one million players have become cyborg ninjas in just two weeks. Since the release of the Warframe open beta on March 18th, over one million players have signed on, spanning over 100 countries. One thing that developer Digital Extremes seems to deliver upon is a AAA quality title at a free-to-play gaming level. Warframe feels stylized and polished, like any well developed game should. It doesn't have that feeling of "this is another F2P clone" that so many others seem to invoke. It is a welcome change to a world that is overpopulated with F2P games. Digital Extremes wants to keep their philosophy of development transparency and regular player interaction intact as they continue to tinker with Warframe. As a F2P game, Warframe is especially interesting as it persists as a cooperative-based title. If you are not tackling missions solo, then you will be tackling them with a group of ninjas. 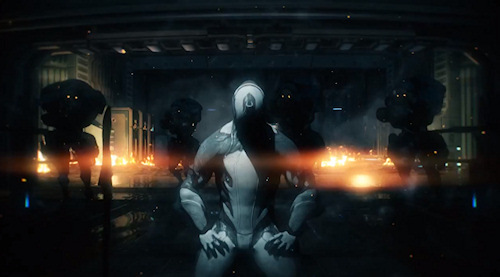 Warframe features up to four player online co-op, in a mission-based game structure. The cooperative mechanics are engaging and fun, and we look forward to more developments in the Warframe universe as the open beta continues. Page created in 0.4902 seconds.